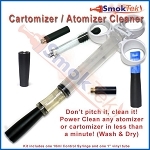 Designed for high voltage devices (5-7volts) Creates a warmer (much bigger) vapor and great flavor. They hold 1.8 ml of liquid (about 55 drops). 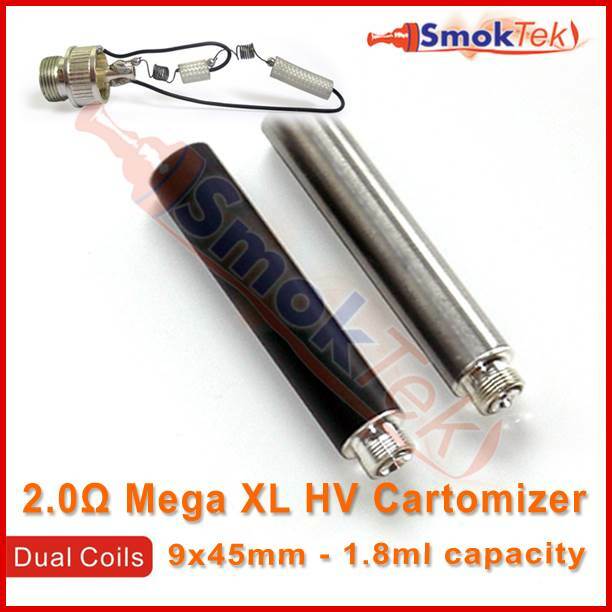 2.0 ohm total resistance (two 4.0 ohm coils run in parallel). Soft removeable cap. Price is for single cartomizer. Get a Quantity Discount when you buy 5 or more - view "Quantity Pricing" in the menu above. Filling with a syringe and 18g sharp needle is our preferred method, then topping off as needed.